In this tutorial you will learn how to activate and manage URL rewrites using mod_rewrite module. Simply, mod_rewrite is used for rewriting a URL at the server level, giving the user output for that final page. Only requirements are to have user with sudo privileges (root is fine) and Apache installed on your VPS. Tutorial on how to create new user and grant him sudo privileges can be found here. Tutorial on how to install LAMP stack (Apache, MySQL, PHP) can be found here. This will activate the module or alert you that the module is already enabled. To put these changes into effect, restart Apache. mod_rewrite is now fully enabled. An .htaccess file allows us to modify our rewrite rules without accessing server configuration files. For this reason, .htaccess is critical to your web application's security. To put these changes into effect, restart Apache. Add this line at the top of the file to activate the rewrite engine. 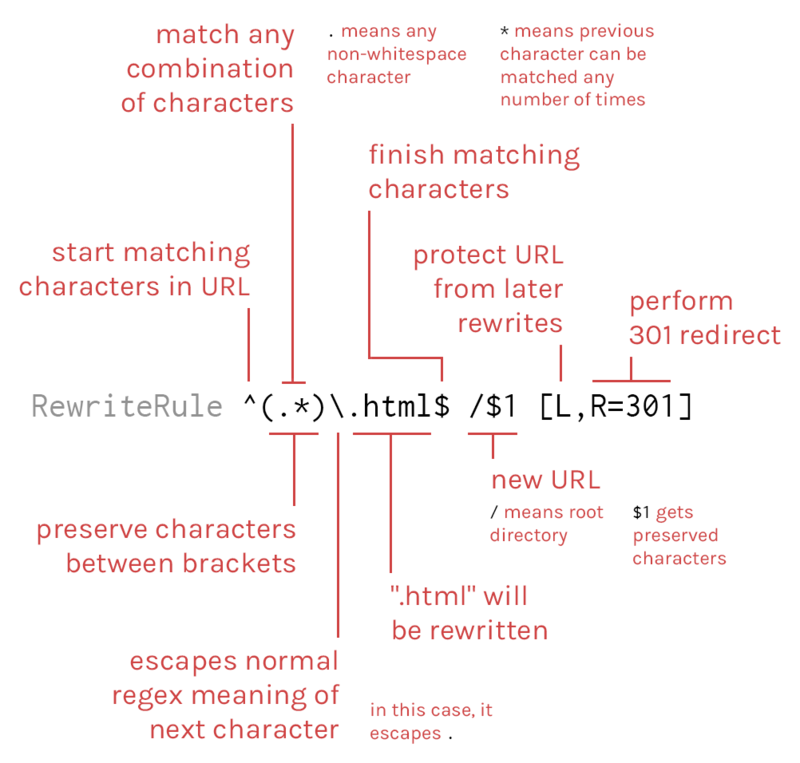 Now you are able to start using URLs rewriting, which you will learn in next step. That it would be easier to learn we will do it with an example. It is, we will make file accessible via http://IP_of_your_server/example.html to be accessible via http://IP_of_your_server/example as well. Begin by creating a file named example.html in the web root. Copy the following HTML code into the file, then save and close it. You can access this page at http://IP_of_your_server/example.html, but notice that if you try to access http://IP_of_your_server/example, you will see a 404 Not Found error. If you would users to access the page using simply /example instead, rewrite rules will allow this very functionality. pattern is a regular expression that matches the desired string from the URL, which is what the viewer types in the browser. substitution is the path to the actual URL, i.e. the path of the file Apache servers. flags are optional parameters that can modify how the rule works. Now, you should be now able access http://IP_of_your_server/example in your browser. mod_rewrite is a useful Apache module that can be used effectively to ensure human-readable URLs. If you'd like to learn more about mod_rewrite, take a look at Apache's mod_rewrite Introduction and Apache's official documentation for mod_rewrite.